The Annual General Meeting (AGM) will take place Sunday, November 4th, 9:00am-12:00pm at NASCO Institute.is where NASCO members can voice their opinions and engage in NASCO’s governance. 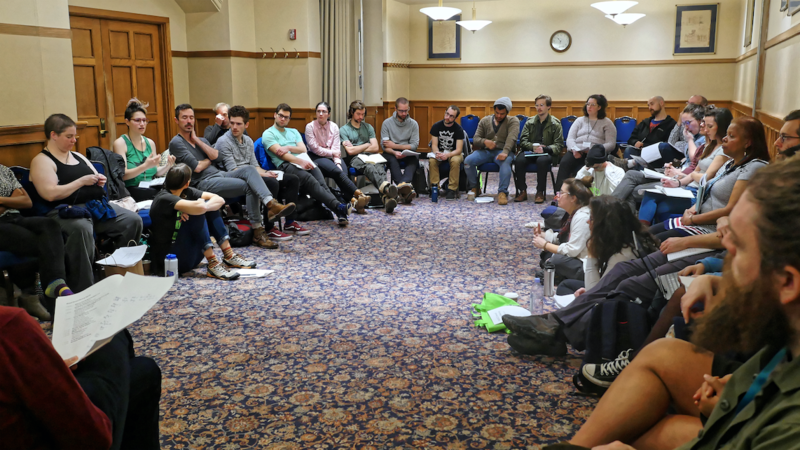 This get-together gives delegates a chance to think and speak together as a broad and diverse membership about the future we envision for NASCO’s co-op education, development, and organizing. It is also the forum for active members to nominate and elect an Active Member Representative, who serves a one-year term on the NASCO board of directors. Come to the meeting prepared by reading the 2018 AGM Packet ahead of time! Each NASCO member co-op attending NASCO Institute should delegate one member to represent their co-op at the meeting. This representative will receive a major discount on their NASCO Institue registration. All co-op members are welcome to attend the meeting, but only one person will receive the discounted rate. Your co-op can register one person at the AGM rate when you register online.